Last Friday Andrew Pask and I hosted 20 students and 2 teachers from the Bachelor of Science (Blended) Research Camp, as part of a shared program between Pune University in India and University of Melbourne. We presented our work on Tasmanian tiger, and they got to see first-hand where many of our specimens are stored. 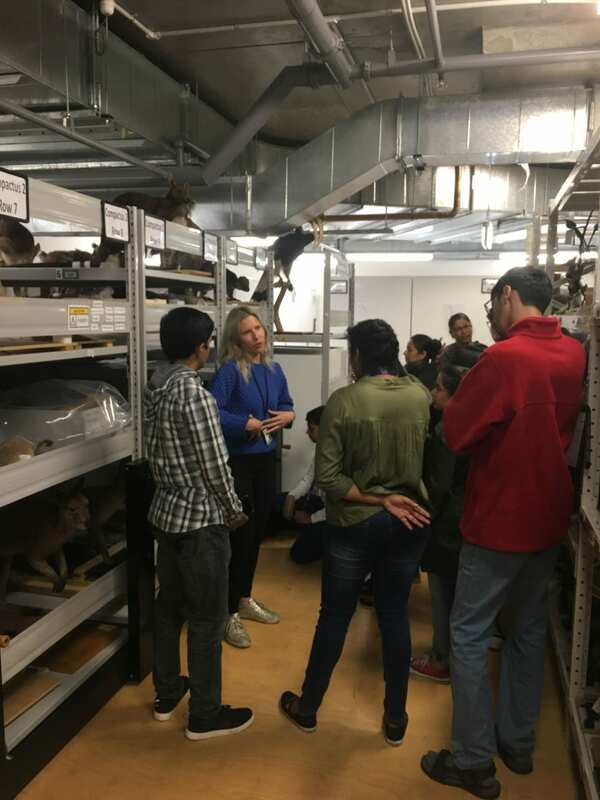 A special thanks to Simon Hinkley and Katie Date for their tours of the entomology and vertebrate collections, giving these students a unique behind-the-scenes look at Melbourne Museum.